You may be cool and cruel but at least you have class. 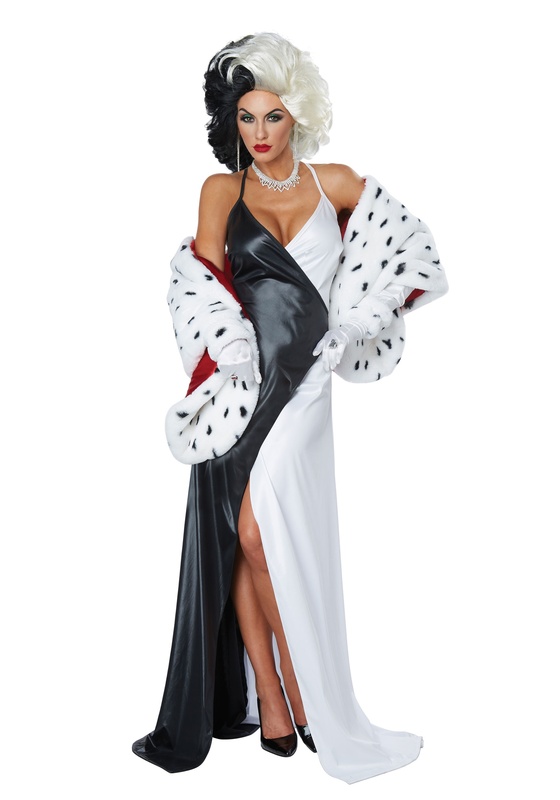 This showstopping gown will make sure everyone knows you’re a truly divine diva. People might think that you’re cruel and cold but they will never understand. How could you be cold and unfeeling when you’re such a big fan of puppies? Sure, you might be a little obsessed with their soft and beautiful fur rather than their annoying slobbery personalities but your appreciation for their looks should count for something, right? So, it’s difficult to understand why people were so rude when you showed up to that Humane Society fundraiser. When you exited your limousine at the red carpet you saw people clutching their mixed breed dogs as if you would have any interest in them. Why would you care about those mutts? They didn’t even have spots! You walked the red carpet anyway, how could you let this gorgeous gown go to waste? After all, the whole point of your infamous dog fiasco was all for the love of fashion. While you didn’t like the way you were treated at the fundraiser you had to admire the way you looked in the pictures that the scandalized tabloids published. The backless halter dress really made an impact on the front page. When you cut out the image to put in your fur lined scrapbook you had to notice how well the black and white dress matched your black and white hairstyle. This Halloween let everyone know what a fashionista you are. The chic gown twists around your body in a faux wrap making a deep slit in the skirt to make walking and dancing gracefully. People might see you as cruel but they will never see you as dowdy if that was ever suggested you would really see spots.